Most of my blog is about how information systems can enhance and transform environmental sustainability throughout the enterprise. It’s about using the Internet, PCs, iPhone apps., carbon tracking software, information visualization, etc., to green organizations and improve the natural environment. Personal computers have made life convenient in many ways, but what about their impacts on the environment due to production, use and disposal? Manufacturing computers requires prodigious quantities of fossil fuels, toxic chemicals and water. Rapid improvements in performance mean we often buy a new machine every 1-3 years, which adds up to mountains of waste computers. How should societies respond to manage these environmental impacts? 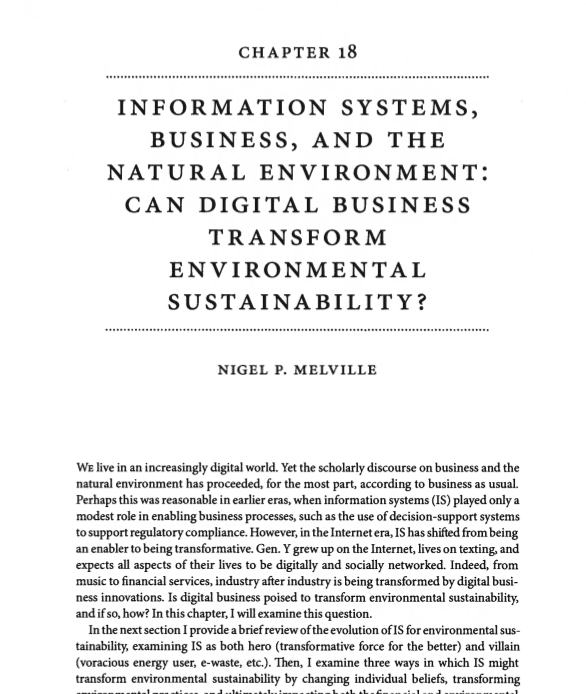 This volume addresses the environmental impacts and management of computers through a set of analyses on issues ranging from environmental assessment, technologies for recycling, consumer behaviour, strategies of computer manufacturing firms, and government policies. One conclusion is that extending the lifespan of computers (e.g. through reselling) is an environmentally and economically effective strategy that deserves more attention from governments, firms and the general public. Categories: Greening computers, Hardware | Permalink.